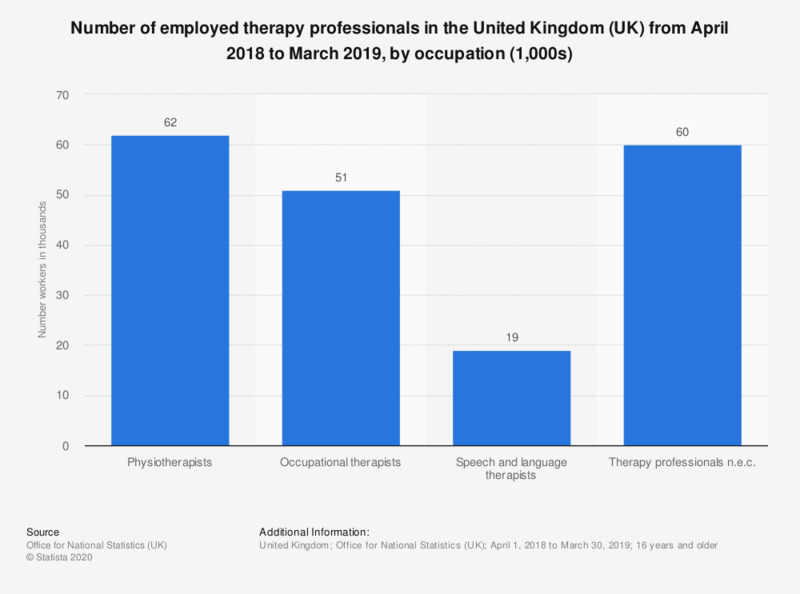 This statistic shows the total number of employed therapy professionals in the United Kingdom (UK) in 2018, by occupation. In this year there were approximately 15 thousand speech and language therapists employed in the United Kingdom. Physiotherapists made up the majority of individuals working in the therapy sector with 60 thousand employees.